Well the day is here, the day for the last skirt that I agreed to make as a part of the kooky project thought up by Kendrabookgirl. Whew. I can't imagine making thirty-one skirts. 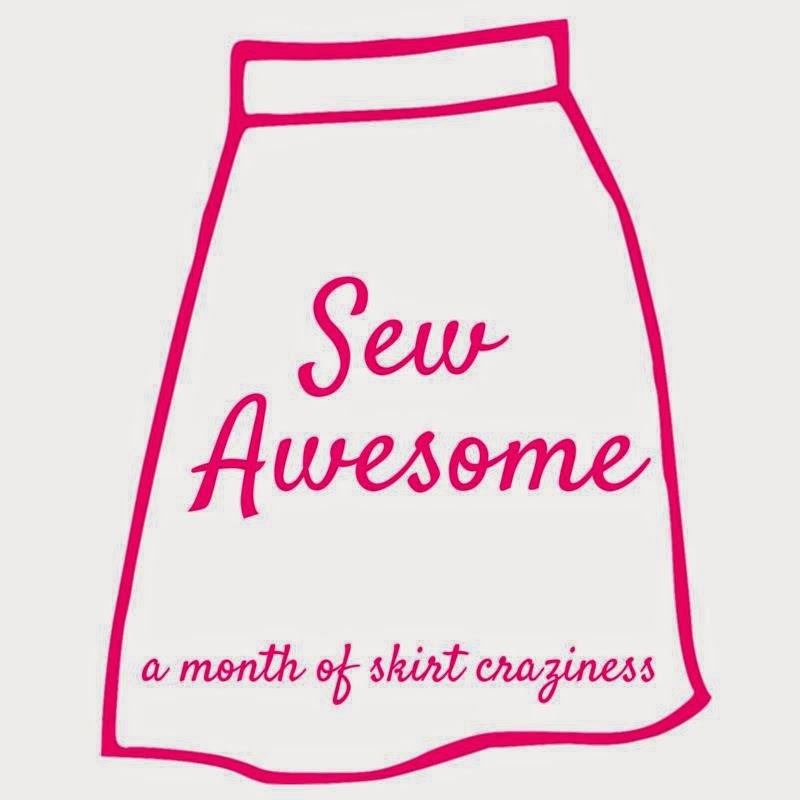 If you haven't noticed, she's not only "sew awesome," she's pretty awesome in general. Four skirts was PLENTY for me. 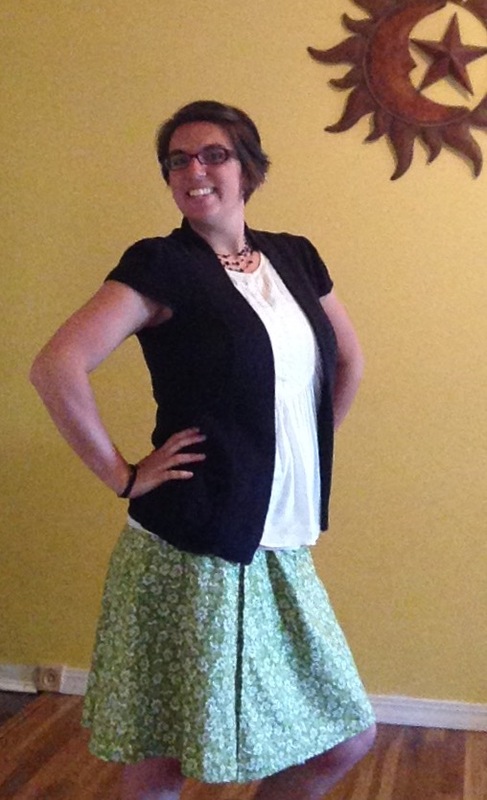 The pattern package said this wrap skirt was "easy" and supposed to only take "1 hour." The designers apparently did not have me in mind. Yeah, sure, the skirt part itself was a breeze (at first), but then the straps thing happened. And my confidence in reading a pattern started to waiver. And things got dicey. There were some choice words, a little tantrum, and then a decision to wing-it which is really not the recommended way to go when you're an inexperienced sewer. Thank goodness you can't see the top of the skirt :) It's all wrong, and I mean ALL wrong. But I'm going to just power through this day. I'm going to walk confidently and secretly chuckle to myself that if I make it through the day without the whole thing falling apart it will be a miracle. 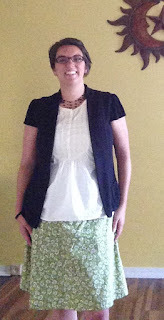 Chances are, despite all the hiccups along the way, I'll continue sewing. By golly I bought myself a little table to permanently keep my machine out. This won't be the end. But I might take a wee break from skirts. Maybe I'll learn to make shorts? That's probably harder. Maybe curtains. Yeah. Maybe I'll tackle curtains next. 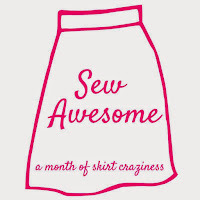 Have a sew awesome day! And please excuse the so-not Emily pose. It was bound to happen eventually.